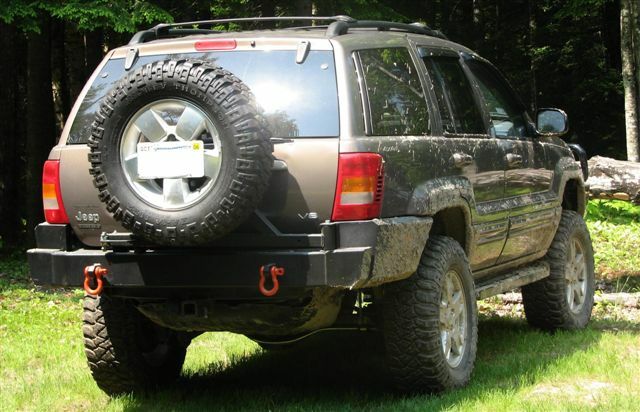 Designed to fit the C4x4 99-04 WJ rear bumpers. Features easy-to-use one-handed latch to open and close. 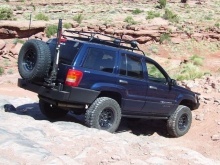 Holds up to 33" tire. 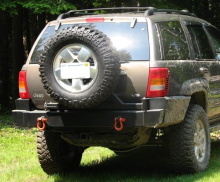 Optional Hi-Lift mount available. Come powder coated (bare metal also available, contact us for ordering info).